Most people love to keep souvenirs to remind them of their happy moments during vacations. If you have vacationed in Ho Chi Minh City (formerly Saigon) in Vietnam, you will need something to remind you of your visit there. Besides, what will you show off to your friends once you are back from the holiday? Below are a few spots that you can find the best of Vietnamese souvenirs. Most people love to keep souvenirs to remind them of their happy moments during vacations. If you have vacationed in Ho Chi Minh City (formerly Saigon) in Vietnam, you will need something to remind you of your visit there. Besides, what will you show off to your friends once you are back from your vacation? Below are a few spots that you can find the best of Vietnamese souvenirs. This is the largest shopping mall in Ho Chi Minh City. The mall is so huge that it has been separated into two big addresses across the street from each other. It boasts a whopping 250 shops. In these shops, you will find ancient Vietnamese jewelry, artifacts, and paintings. 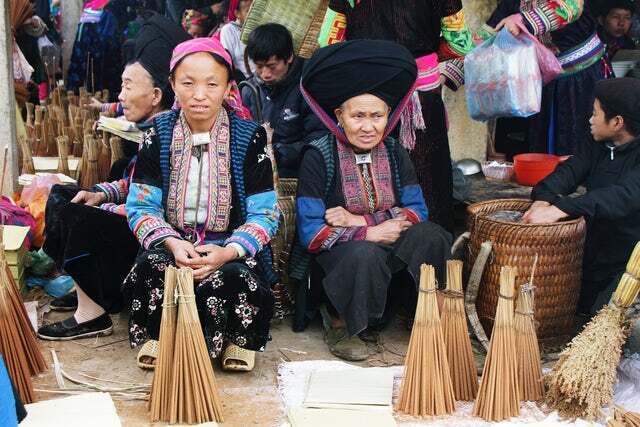 Among the most popular souvenirs that you can buy here include; Conical Hats, Ao Dai, wooden clogs, bamboo flute etc. Apart from souvenirs, you can buy modern fashion brands such as Jimmy Choo, DKNY, Charles & Keith among others. How would you love to buy a war souvenir? As Americans try very hard to quickly forget their war days in Vietnam, the Vietnamese have turned the war into a tourist magnet. In Saigon Square Shopping Mall, you will find stalls that sell war souvenirs that are complete with the platoon epithets such as 'Though I walk Through the Valley of the Shadow of Death I will fear no Evil'. Another of premiere souvenirs' store is the Diamond Plaza Department Store that is located in the heart of Ho Chi Minh City. Here you can expect to buy war mementoes such as cosmetics, perfumes, watches and jewelry. In addition, you can buy Vietnamese' national dress - the Ao Dai, a Ho Chi Minh T-shirt complete with the picture of uncle Ho's pictures as well as watercolor paintings. Wherever you visit, always remember to buy mementoes that will serve as a reminder of your visit to the destination. For Vietnam, the most visible memento will be the conical hat. Your friends will be thoroughly impressed by your ‘around-the-world’ travels.